With the increasing focus on the concept of culture by sociologists and other social scientists, there is now a need for clarifying and developing theoretical perspectives on this issue. 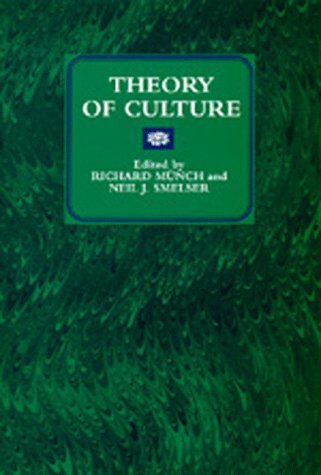 The contributors to this volume have answered this call, each adding new insight to the debate over culture, its definition, and its relationship with other basic categories in sociological theory. by W. H. R. Rivers - Constable & Co. The aim of these lectures is to demonstrate the close connection which exists between methods of denoting relationship or kinship and forms of social organization, including those based on different varieties of the institution of marriage. This book offers a sociological understanding of today's social problems and of possible solutions to these problems. Readers of this book will find many examples of how social problems have been improved and of strategies that hold great potential. What do single moms, stay-at-home dads, professionals who happen to be women, men who like to dress colorfully, infertile people, and homosexuals have in common? They're often viewed by society as sad, bad, and even a little suspicious.